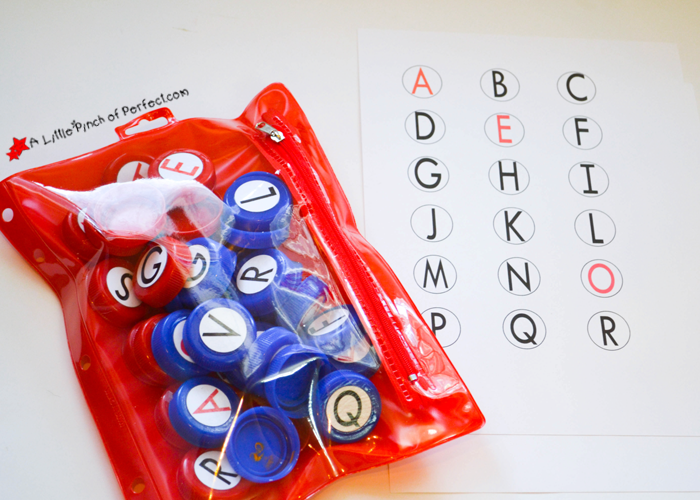 At our house my two kids are learning letters and learning to read and spell so I made a set of Uppercase Letters with our free printable and a bag of milk caps (although you could always use the circle letters without milk caps). I used a 1″ paper punch and mod podge–so making them was fast and simple! The kids have loved our new hands on letter manipulatives and having them around makes putting together language arts activities easy. What to do with this printable? The vowels are red and there is a page of extra vowels and duplicate letters so words like see, stars, and book can be made with one set of letters. 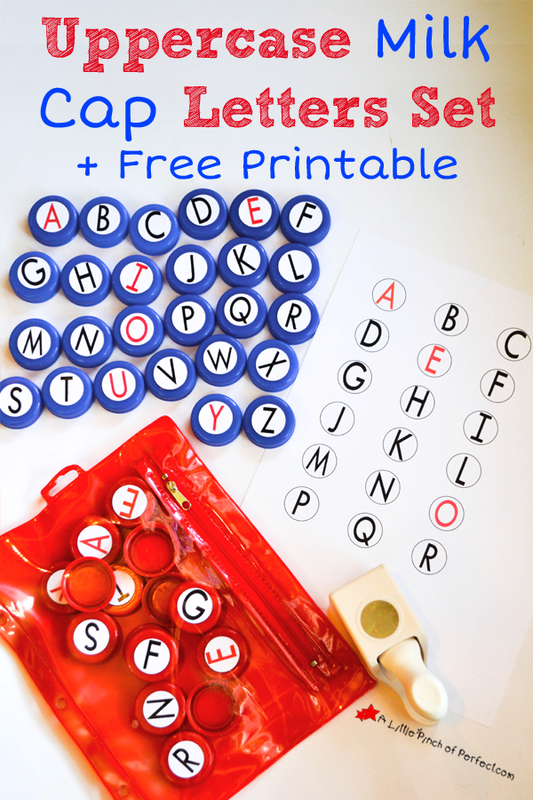 You can print a second copy of the printable (and put it in a DIY Reusable Dry Erase Pocket) and kids can use it as a mat to match the milk cap letters on. The letters can be used to match letters, spell words, and read. 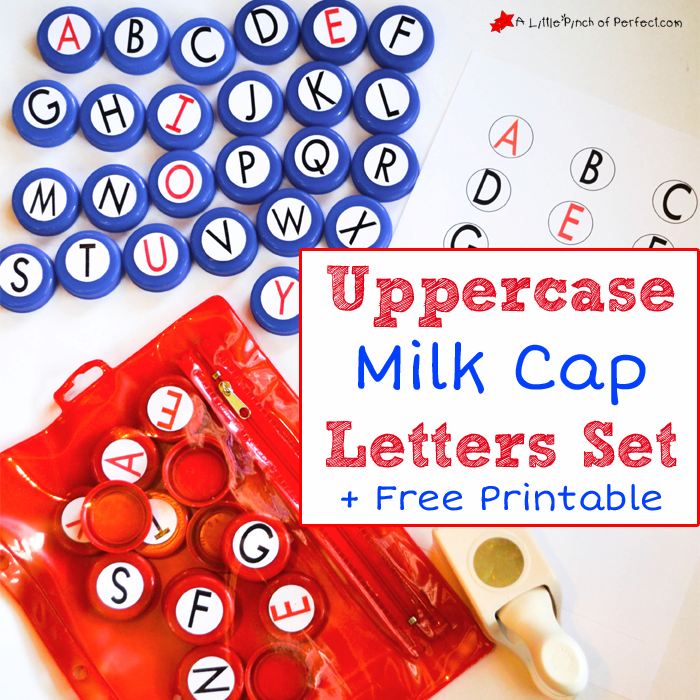 Cut out the letter circles and cover the top and bottom of the milk caps with mod podge. They are ready to use once they are completely dry. Cut out the letter circles, laminate them, cut them out again, then glue to a milk caps. 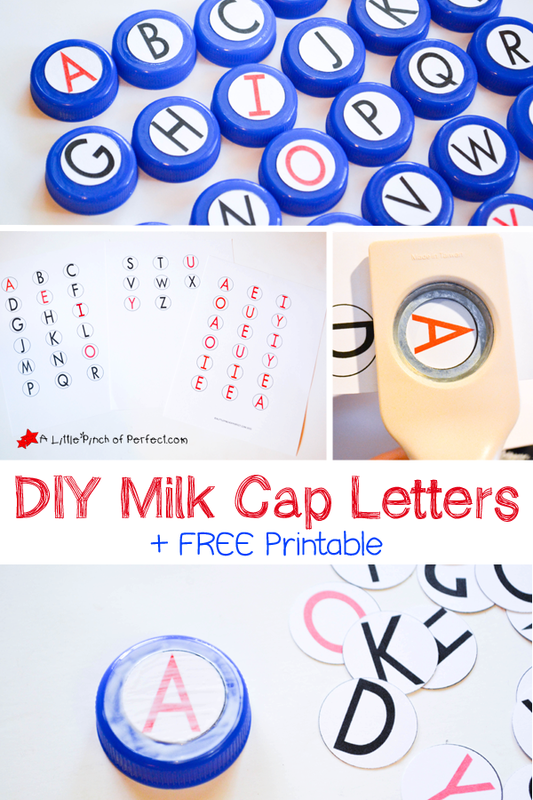 I would love to hear what fun things you come up with to do with your milk cap letters. Make sure to sign up for our weekly newsletter so you don’t miss the lowercase letter printable. Thanks for visiting us today! Please click here to sign up for our weekly newsletter and follow us on Facebook, Pinterest, Twitter.